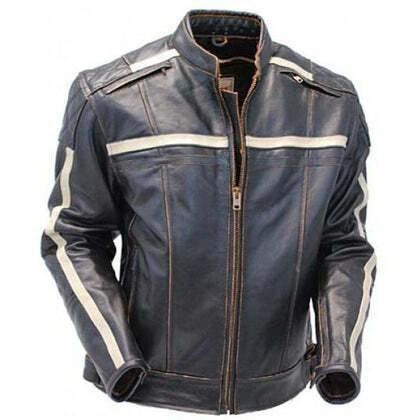 No matter what the occasion is, a leather jacket can never go wrong in its style and popularity! 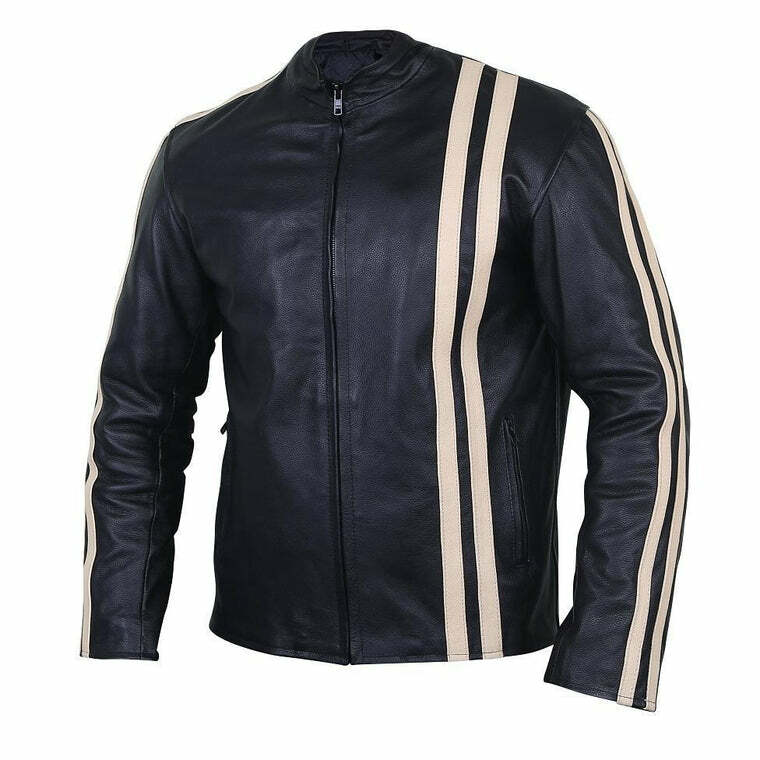 If you are a fashion-conscious individual who likes to hoard leather items, then this black genuine leather jacket with white stripes is what you should buy right away! 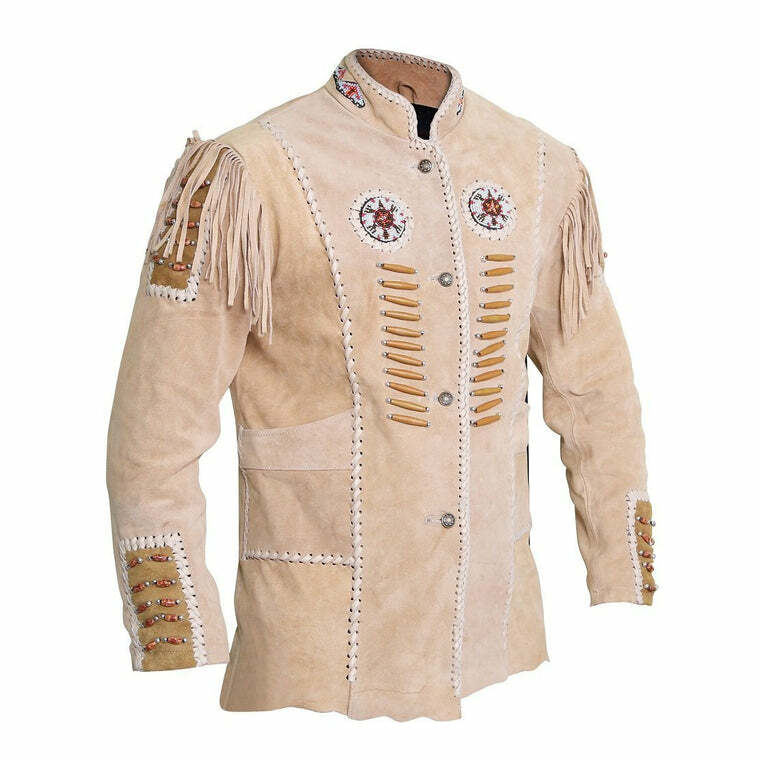 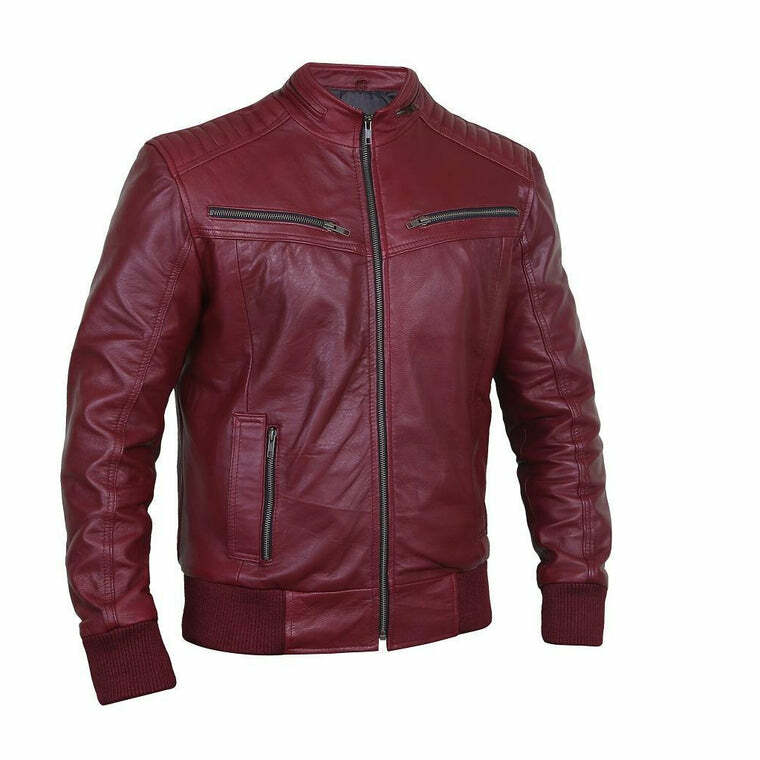 This super stylish jacket is simple yet trendy and will make anyone fall in love with it at first sight. It displays immense simplicity and sophistication. 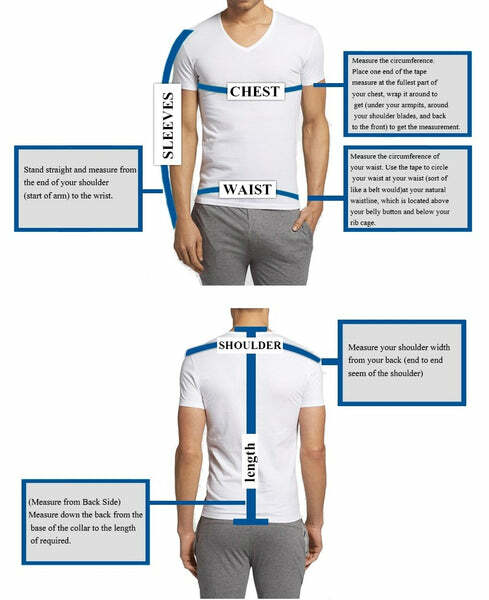 The best feature is that CE approved armors are included free of cost: 2 shoulder guards, 2 elbow protectors, and 1 back support. 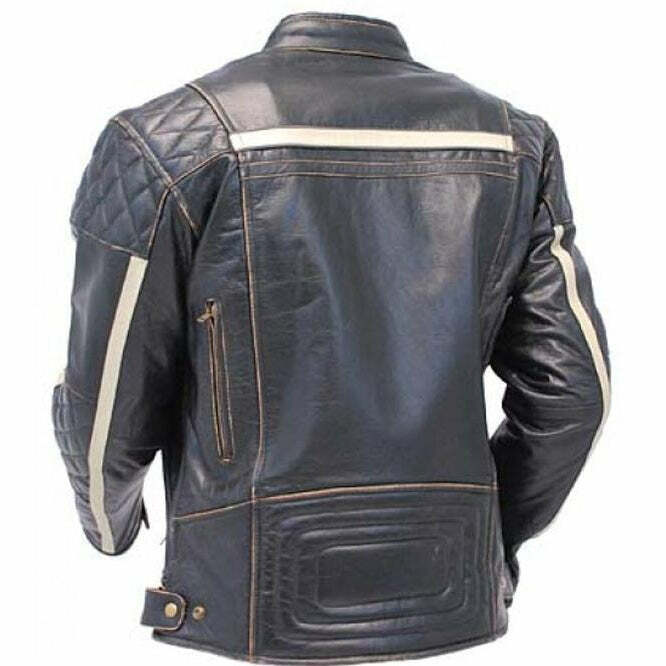 There is one front zipper - only YKK top quality ones are used. 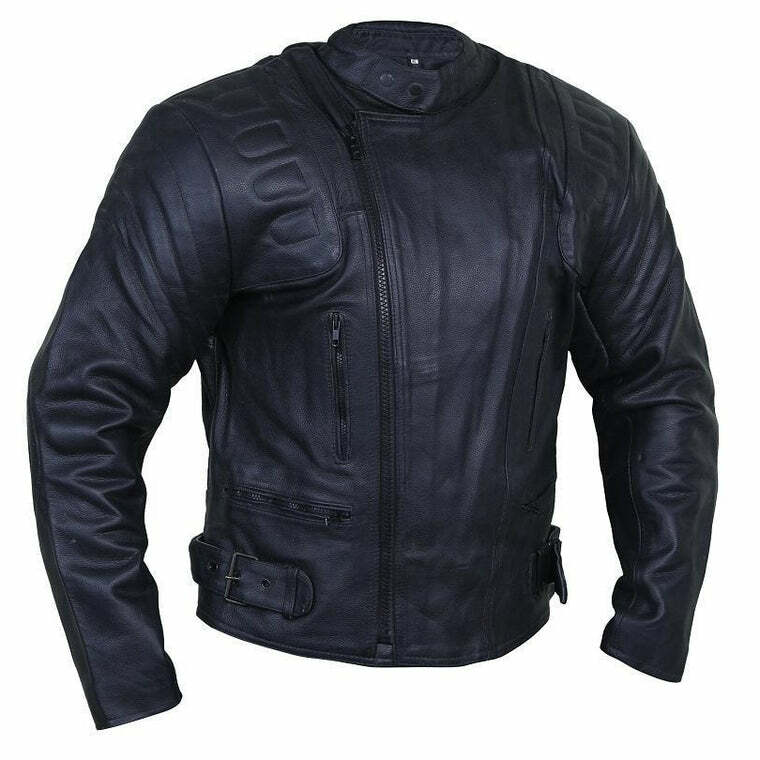 The jacket’s smooth surface finish enhances durability and is comfortable enough to be worn any time.